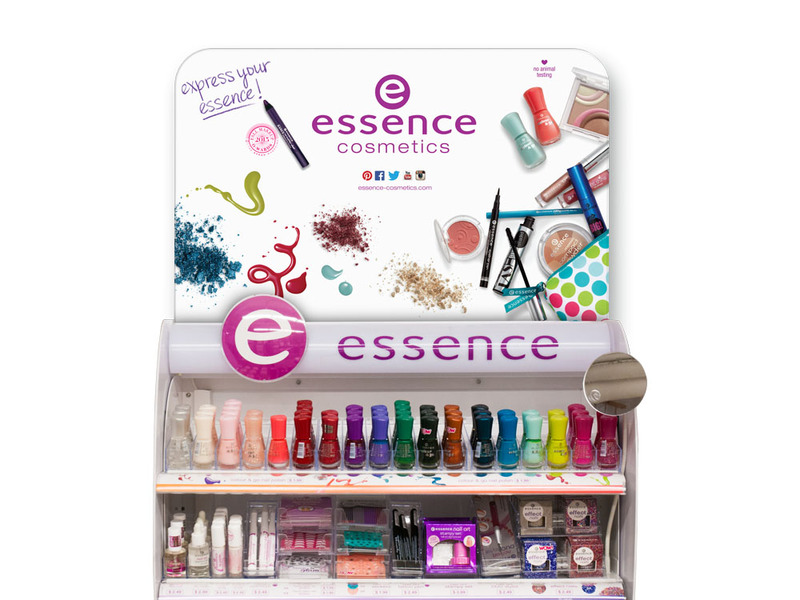 essence cosmetics was launched in Europe in 2001 and quickly became the European leader in value beauty products. 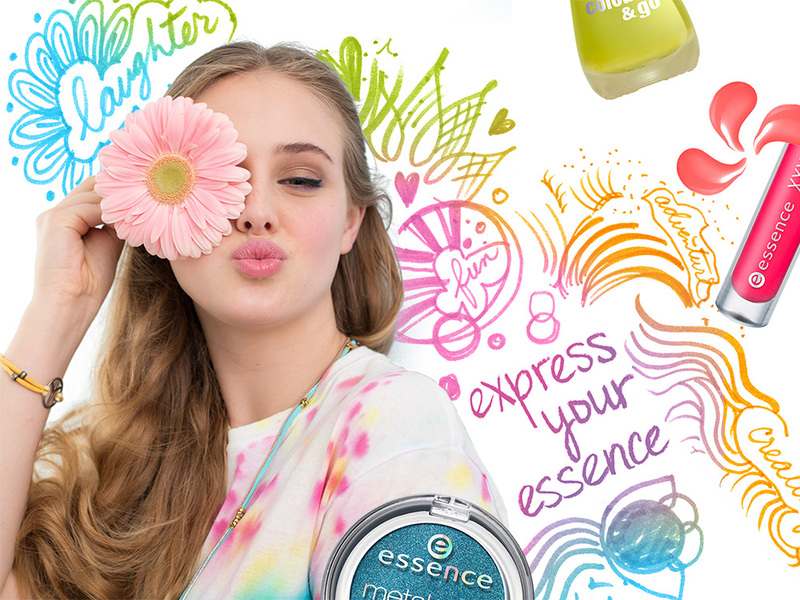 Based on the brand’s global success, essence was launched into the North American Market. 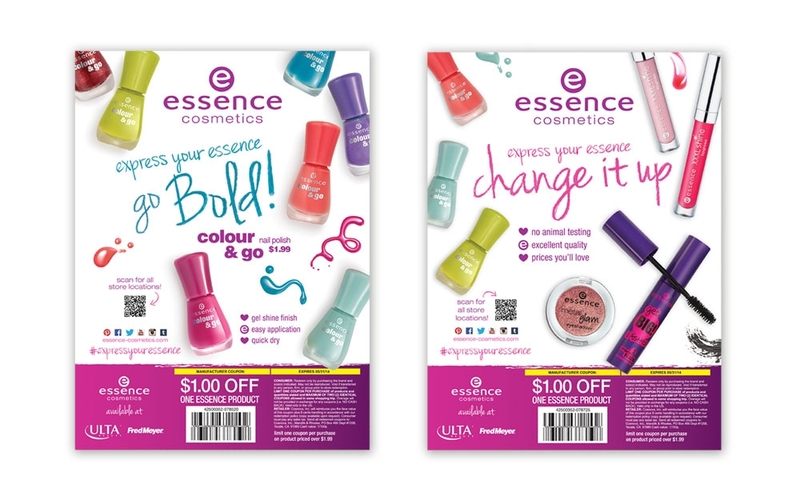 Realizing that there were some challenges in penetrating the crowded US marketplace, Alternatives worked with essence to develop a communication strategy that would strongly resonate with young women, establish a unique position for the brand and build a platform for growth in North America. We conducted market research with young women in the US to further inform our strategy and approach. 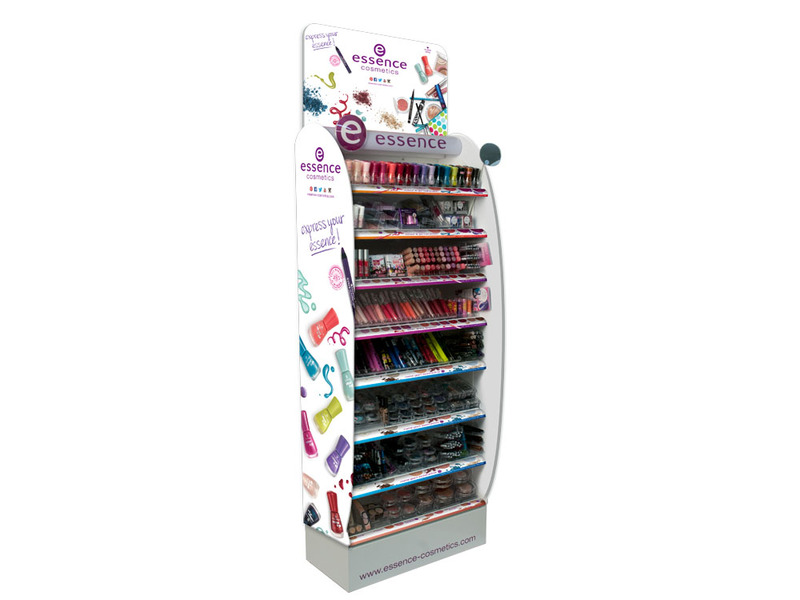 The strategy was then rolled out into a comprehensive marketing plan including advertising, social media, in store graphics and coordination of product sampling in 24 cities around North America. 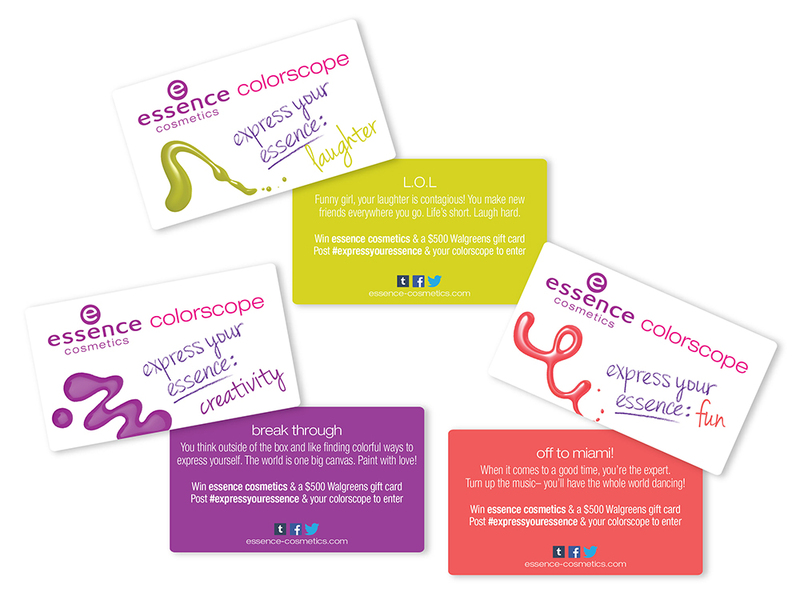 The “express your essence” consumer advertising campaign focuses on a call to action that features the most prominent attribute of each cosmetic grouping and communicates the fun, young, colorful vibe of the brand. 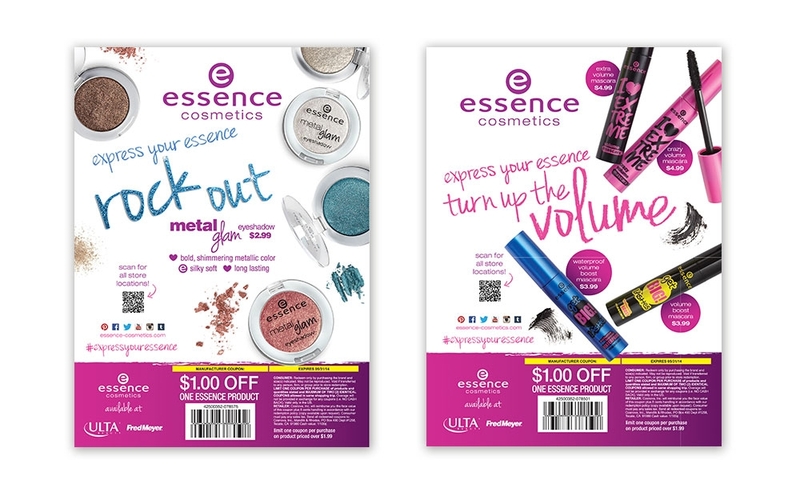 Each ad included a coupon to drive sales and track performance. 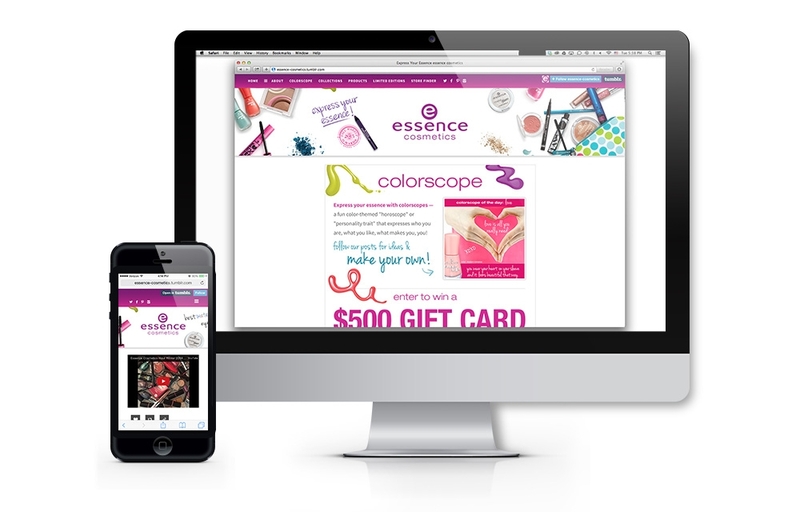 Design and development of the essence tumblr website creates a platform for young women to engage with the brand and builds a stronger web presence that supports the updated brand image and retailers in North America.